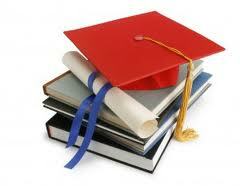 Education in Kerala, Kerala Higher Secondary Education, Kerala Education. Kerala is a particular part of nation where the literacy rate is higher as compared to other parts of the nation. Since the particular state have a great literacy rate, the education system of the state have a great improvement. Since people of the state have got enough literacy to understand the need of education. They are providing good sources to educate their children. Today due to education in Kerala, people from this state have a global achievement. It might be in the field of business, science or astronomy; people from Kerala are shining like wonders. The catholic as well as missionaries have contributed a lot in the education system of Kerala. Thus, Kerala have progressed significantly in the field of education. The orphanage is also run by Christian missionaries where a proper guidance is provided for the education system of the state. There are many associations who are responsible to impart Vedic knowledge to the people of Kerala. Today the education in Kerala have a great innovation led by the private trust as well as Government agencies. The proper running and operation of education is laid down by Kerala state education board. Ample schools and colleges are located in the state of Kerala. The schooling in the primary level is the wonderful point of focus. There are primary schools run by both government as well as private organizations. Even the government have provided the facility of free education in the primary schools. The quality of education is really very high in primary education in Kerala as compared to other states. But due to some financial constraints there have been some decline in its quality. The education in higher level is really wonderful as the colleges as well as universities operating in the particular part of the nation have their own standard. People coming from other part of the nation to study in such universities have to pass the admission test. It will be really a great effort to be a part of this education standard.